Ned’s sticking around Port Charles! Photo courtesy of Soap Central. 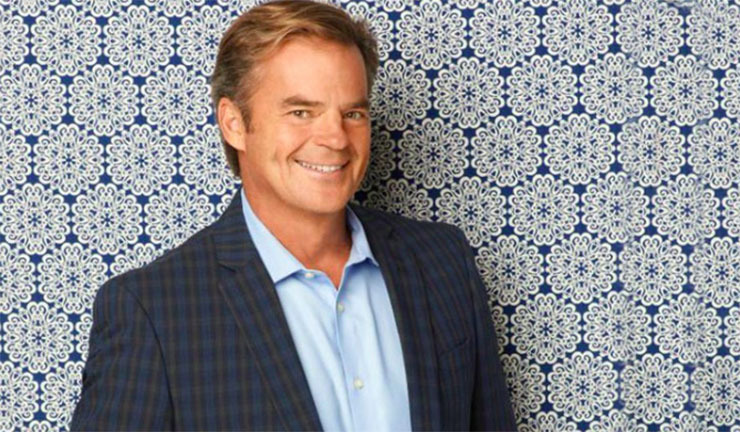 General Hospital star Wally Kurth took to social media to tell fans some happy news about Ned Ashton’s future. That was pretty much the sentiment Kurth put across in a Twitter response to a fan who said she cherished Ned’s sparse appearances on GH. He confirmed there are more “Ned days” to come. Yay! Scroll down to see his Tweet on the topic and another on a related issue. Given that Ned seems super-excited about the idea of marrying Olivia, could that mean that there’s a Ashton-Falconeri nuptial ceremony to look forward to? We can only hope! That would imply Ned is going to be around a lot in Port Charles. Kurth’s career of late, of course, is one of those neat cases when an actor does double duty on two soaps that he is equally beloved on. Kurth also plays Justin Kiriakis, a legacy character and story canvas staple on Days of Our Lives (Days). He Tweeted a response to a fellow GH actor, Carolyn Hennessy on the topic. She said she enjoyed getting a double dose of him today on both shows. He replied that he hopes being on both shows isn’t Wally Kurth overkill, because he so enjoys it. So, we at Soap Cities will take this opportunity to clear up any confusion he may have. We and Kurth’s legion of fans can never get too much of his fabulous acting–nor those amazing dimples!